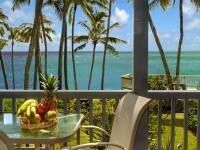 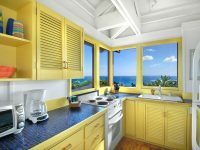 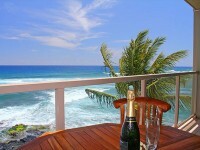 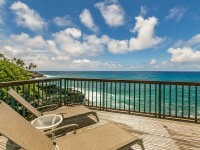 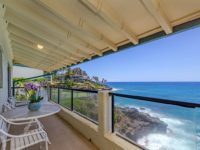 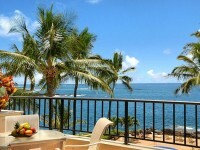 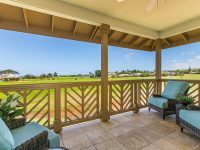 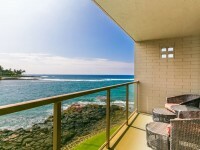 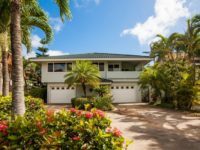 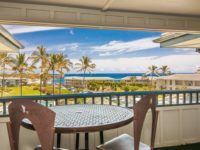 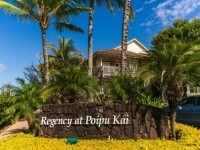 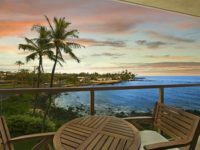 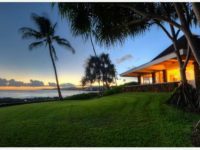 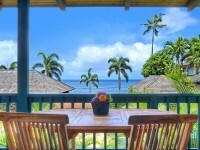 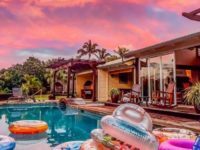 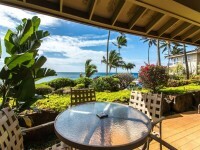 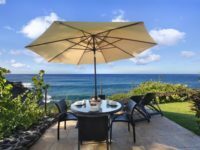 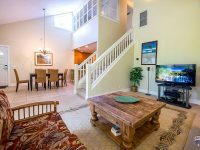 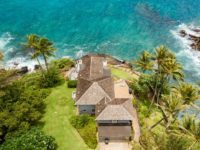 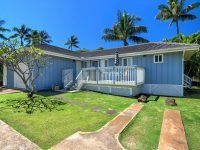 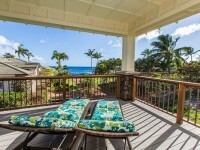 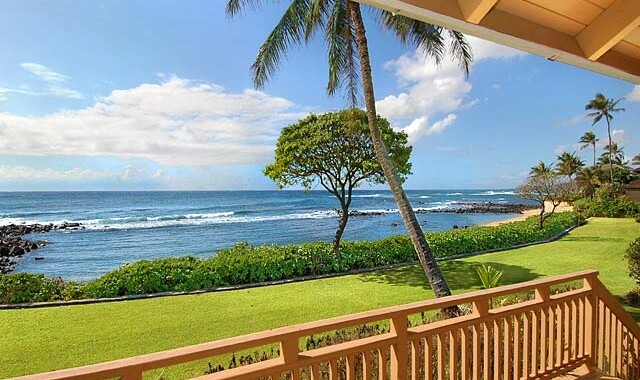 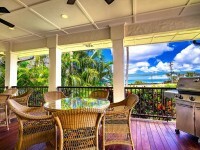 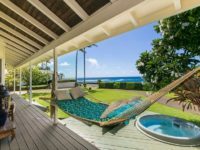 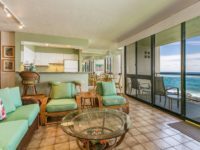 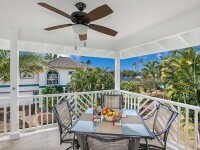 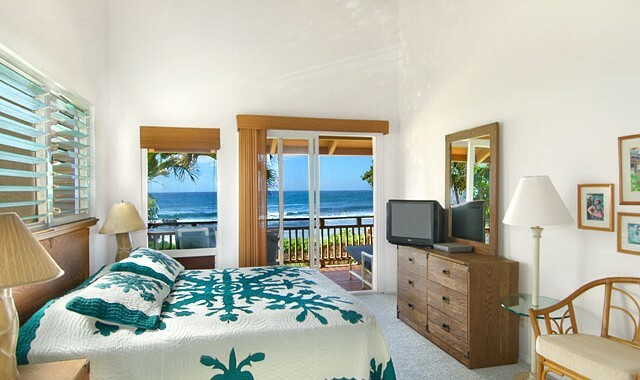 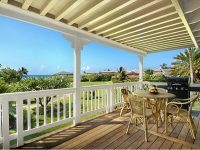 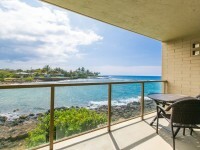 POIPU BEACHFRONT COTTAGE VACATION RENTAL: Hale Kai in Hawaiian means “ocean house” as there are spectacular views of the Poipu coastline and a white sand beach from every room. 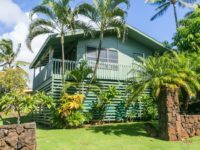 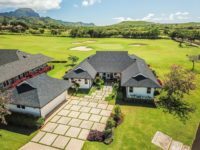 Hale Kai is a quaint two bedroom and two bathroom plantation-style, beach-front family vacation home that sleeps four people. 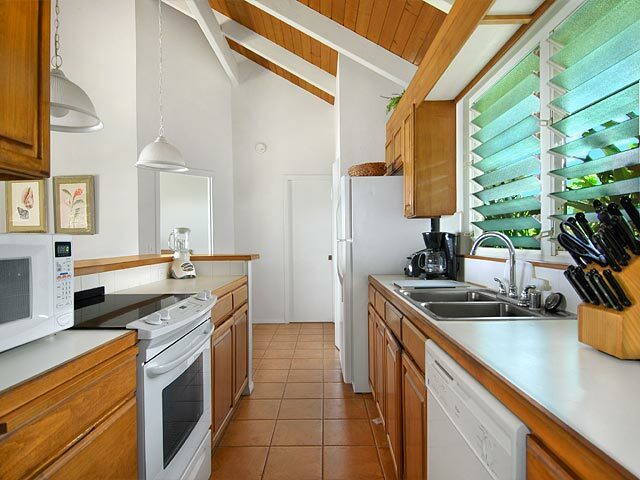 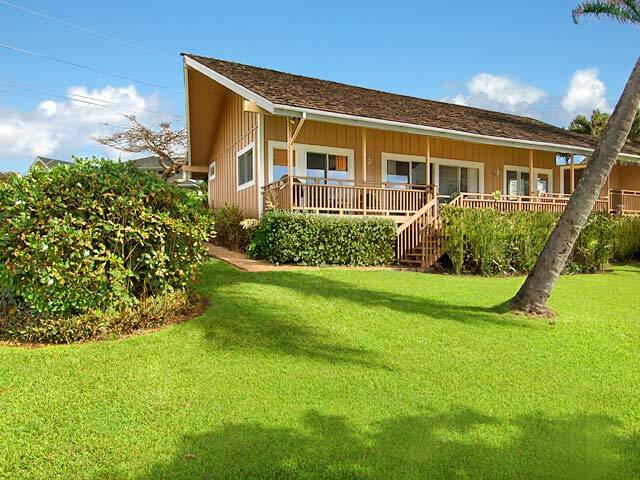 Large windows and open beam construction lends to a feeling of spaciousness in this adorable beach cottage. 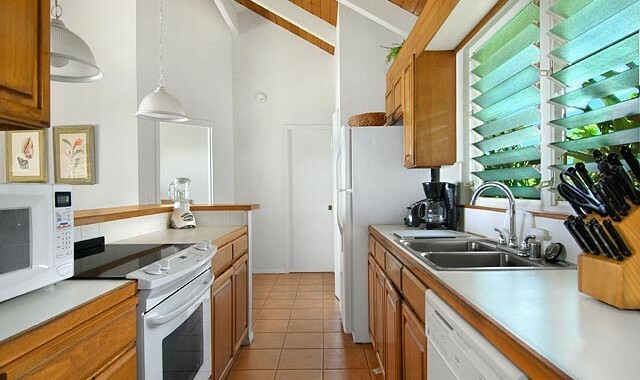 There is a large fully equipped kitchen with dishwasher and microwave. 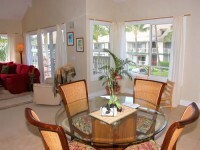 There is a small breakfast bar as well as a dining table for four people. 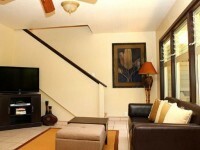 TV, VCR, stereo are provided. 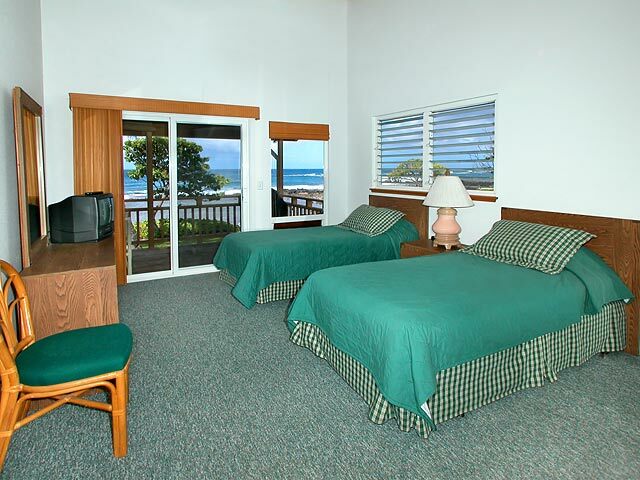 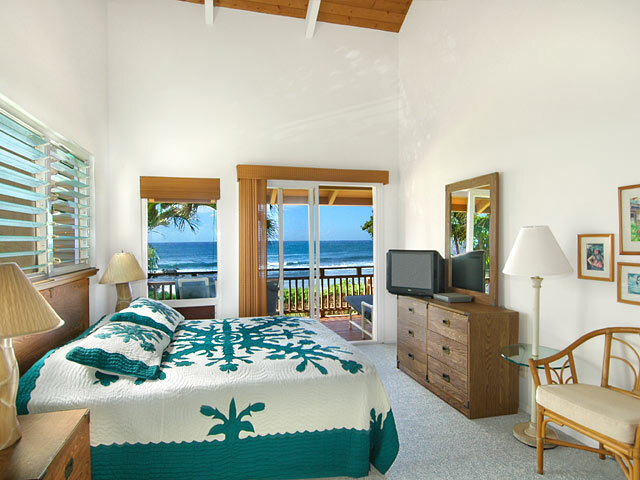 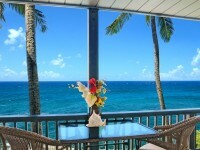 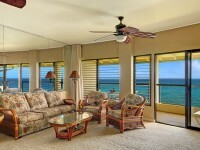 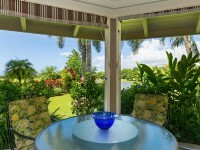 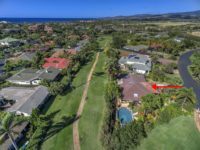 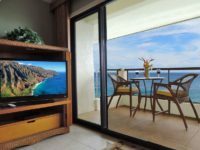 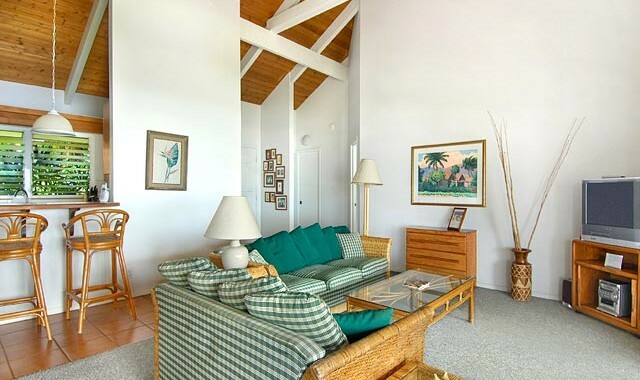 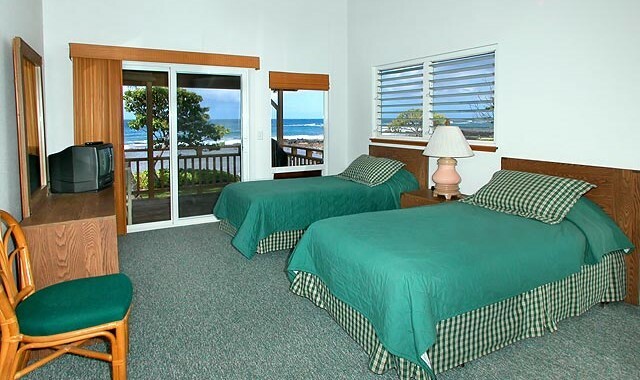 Both bedrooms have sliding glass doors which lead to the covered lanai facing the stunning ocean views. 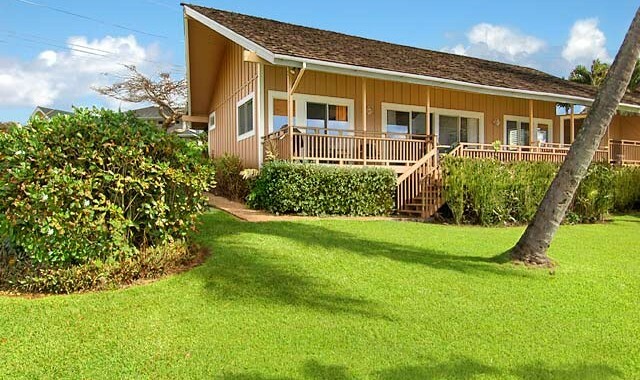 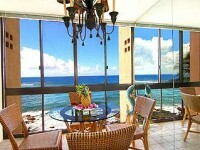 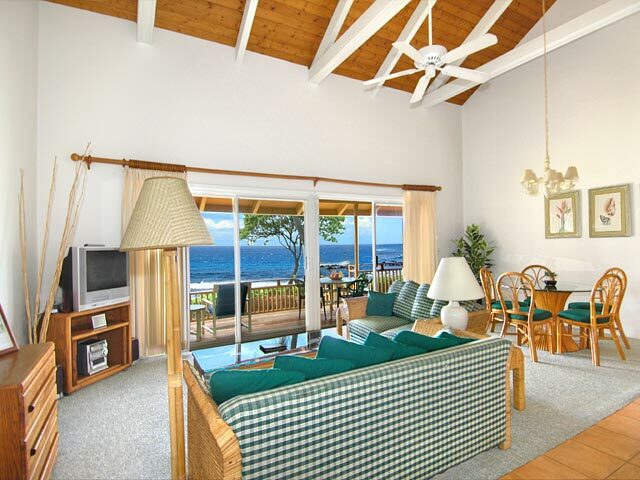 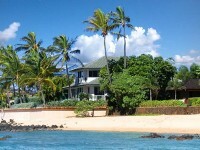 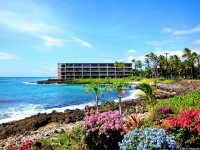 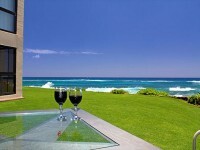 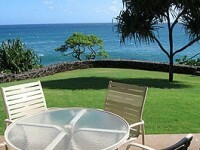 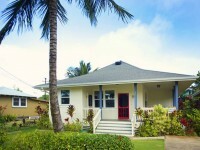 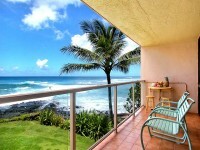 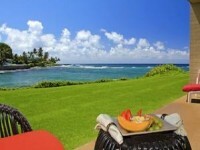 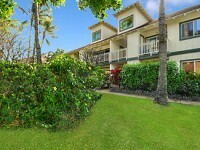 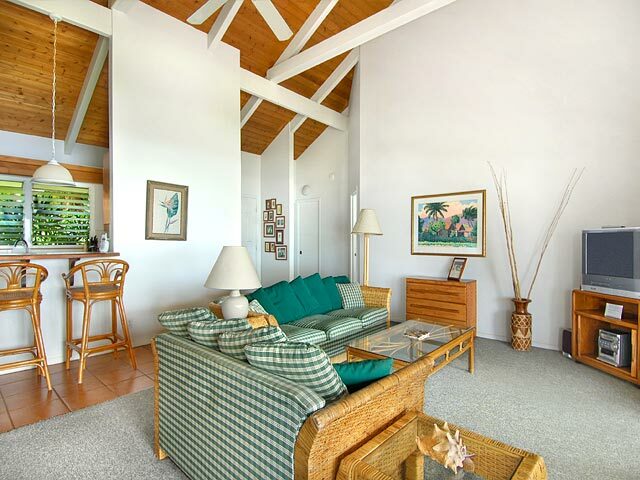 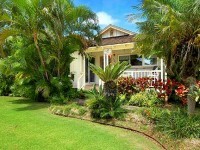 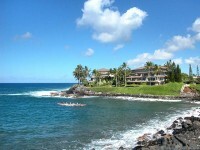 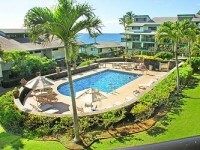 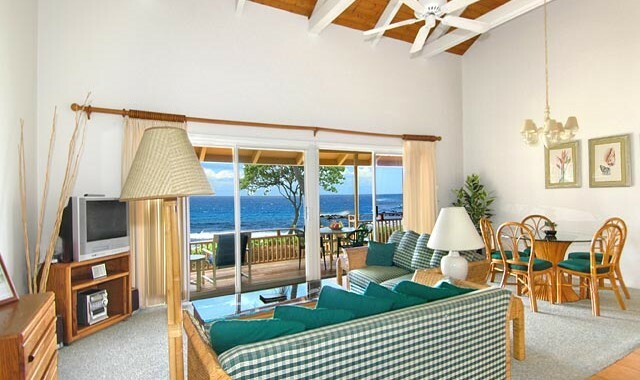 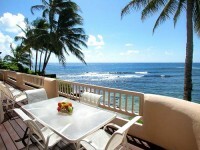 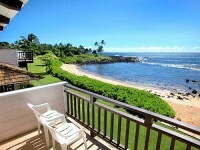 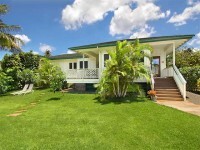 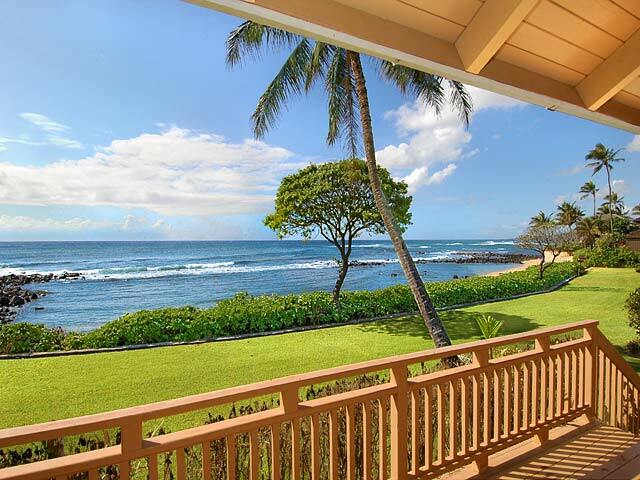 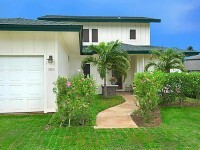 Hale Kai is adjacent to Hale Moana, another beachfront Kauai cottage rental in Poipu, Hawaii. 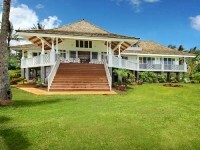 This home is located on property that has been in the family since 1850. 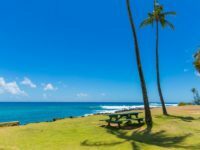 Learn about this missionary-doctor family history in the book, 100 Years of Healing by Evelyn Cook.